Los Angeles hitters rocked Leake for seven runs (five earned) on 11 hits and knocked him out of the game after four innings. It was the second consecutive outing that the veteran right-hander failed to make it past the fourth inning. 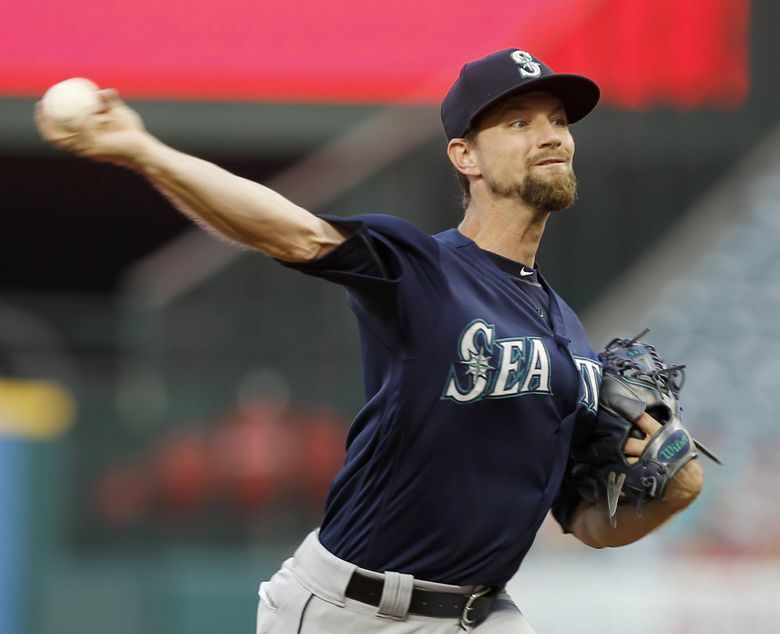 ANAHEIM, Calif. — Mike Leake is going to give up contact. That’s who he is as a pitcher. He knows it. 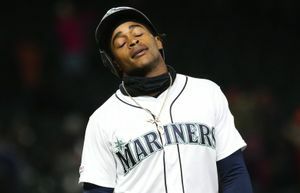 The Mariners knew it when they acquired him. And on those nights when his command isn’t somewhere between good and precise, well, he’s going to struggle because it won’t be good contact coming off the opponents’ bats. 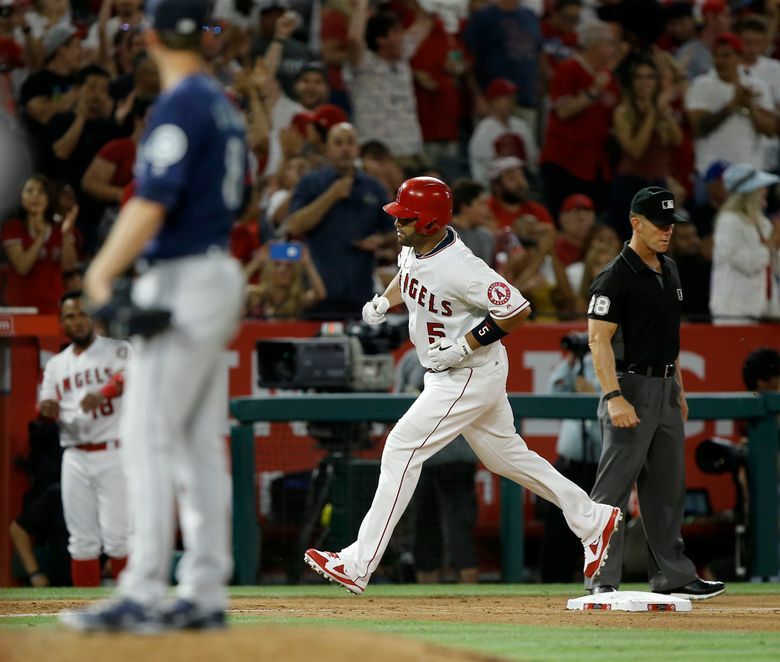 That version of Leake appeared Tuesday night at Angel Stadium and it got ugly in a decisive 9-3 defeat against the Los Angeles Angels. It was the Mariners’ fourth defeat in six games, dropping them to 57-35. Facing the Angels for a second consecutive start, Leake was knocked around for seven runs (five earned) on 11 hits before exiting after four innings of work. It was the second consecutive outing the veteran right-hander failed to make it past the fourth inning. He’s allowed 20 hits in those two starts. This just wasn’t about a few random balls in play finding holes and leading to runs as in the previous start against the Angels. No, these balls were hit hard enough to make their own holes in the defense. Using Statcast technology, seven of the balls put in play off Leake came off the bat at 100 mph or more and six more were 90-plus mph. It’s a fancy way of saying there wasn’t much weak contact. Because it worked so well in their previous matchup with Leake on the Fourth of July, Los Angeles hitters went with their same swing-early approach. It was evident from his first inning of work. His teammates staked him to a 3-0 lead in the first inning. Dee Gordon and Jean Segura collected back-to-back singles off Angels starter Garrett Richards. 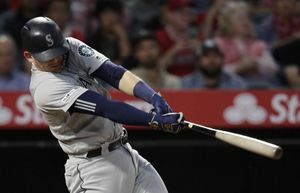 Mitch Haniger then showed why he earned a spot on the American League All-Star team with one vicious swing. Haniger ambushed a first-pitch slider that Richards left over the middle of plate, swatting his 18th homer of the season and pushing his RBI total to 65. Usually that sort of lead allows a starter like Leake, who relies on ground balls and soft contact, some critical cushion to work. But the Angels needed just two innings to erase that deficit. Leake gave up hard singles to three of the first four batters he faced to allow a run to score in the first. 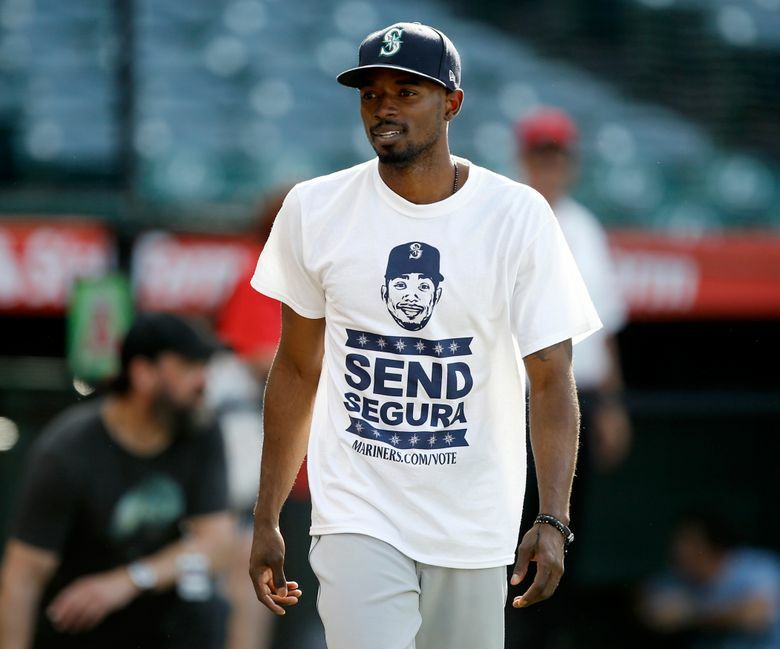 He was bailed out of a bases-loaded jam when Segura gloved a screaming line drive off the bat of Ian Kinsler to end the inning without further damage. The Angels tied the score in the second. An error by Gordon on a ground ball and a double by Martin Maldonado led to RBI from Kole Calhoun and Andrelton Simmons. Leake’s outing fell apart in a marathon fourth inning when the Angels scored four runs, highlighted by run-scoring doubles from Simmons and Kinsler and a two-run blast from Albert Pujols. Servais stayed with Leake probably a little too long, but he was hoping Leake could make an adjustment. Before these two starts against the Angels, Leake had been solid over the previous eight starts, posting a 4-1 record with a 2.22 ERA. In all eight of those starts, he pitched six innings or more and only once allowed more than two earned runs. It’s not a health issue. It’s a pitch-making issue.